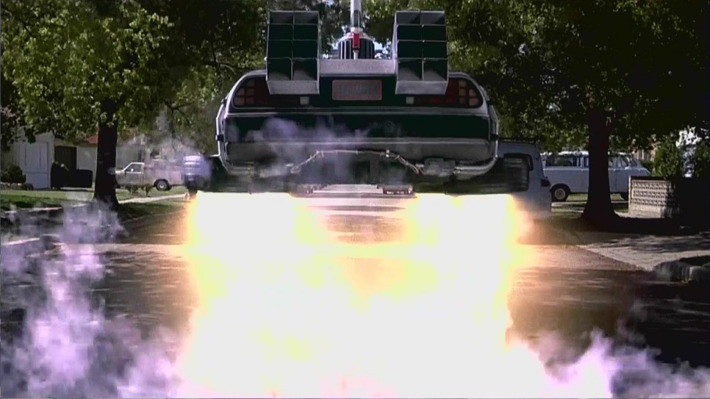 Which Technologies in Back to the Future II Are Closest to Reality? This post originally ran in December 2014. We are rerunning it because it’s finally October 21, 2015. 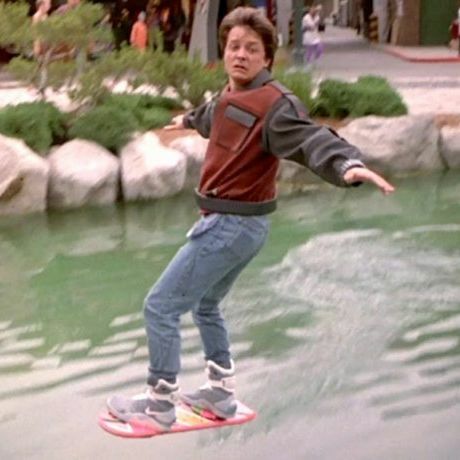 This fall not only marked the one-year countdown to October 21, 2015, the date on which Back to the Future II’s Marty and Doc arrive in the future, but it saw the announcement of the Hendo Hoverboard. Despite some obvious limitations (it only hovers over one particular surface), the gadget brings us a little closer to the 2015 imagined by the 25-year-old sequel. It’s not the only thing, either. Lockheed Martin says it’s close to building a small nuclear-fusion reactor. Lockheed’s proposed reactor won’t be as small as Mr. Fusion, which powered the DeLorean with banana peels and beer cans, but it’s yet another step toward making our future like Marty McFly’s. 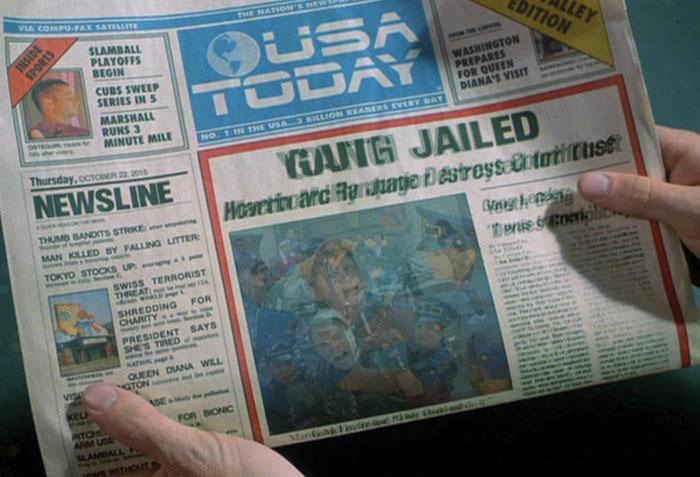 But what about the rest of the wild technology found in 2015 Hill Valley? We spoke to a handful of scientists, professors, tech whizzes, and other experts about the possibilities of this movie future. When Doc, Marty, and Jennifer first arrive in 2015, the airborne DeLorean is cruising through the sky on a literal highway. According to Thomas Frey, executive director of futurist think tank the DaVinci Institute, we shouldn’t expect to see either of those things, ever. “We will never get to the flying car era,” Frey told Vulture. 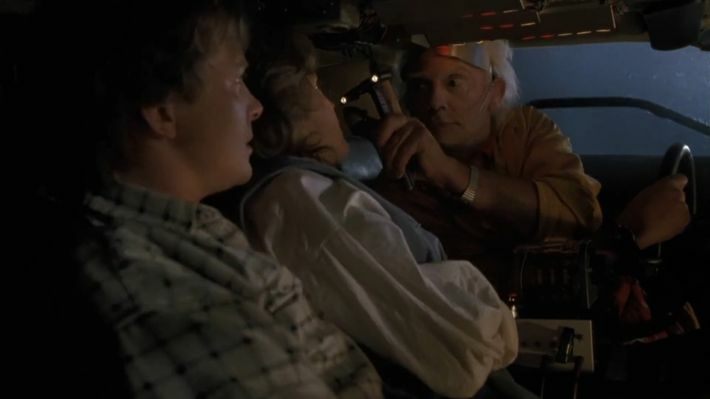 “We will get to the era where we get flying drones that haul people, though.” The BTTF II model, in which a person gets behind the wheel of his own flying car, is too dangerous, Frey says. “Once we get into three-dimensional space, flying vehicles are exponentially more complicated, and the average person is not prepared to do that.” As for the highway in the sky, Frey envisions a much more sophisticated solution to controlling air traffic. “Directional layers of airspace,” he says, where specific altitudes have a designated direction in which vehicles fly. 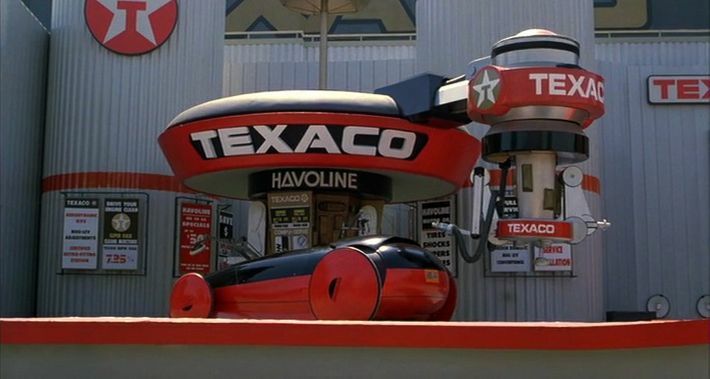 By 2015, Hill Valley’s local Texaco has lost its attendants, replacing them with a robotic arm that fills the tanks of flying cars. The Dutch have invented a robotic pump, and though these are a long way from ubiquity, Frey does think we might see more of them in the next five years. More likely, though, he says, is a variation on the full-service gas station but for electric cars. “Being able to drive over a platform with an electric car, and charge your battery and never have to get out, is entirely possible right now,” he says. Here’s the bad news. You or your progeny will, in all likelihood, never say, “Boy, oh boy, Mom, you sure know how to hydrate a pizza.” But, “Boy, oh boy, Mom, you sure know how to PRINT a pizza” is a total possibility. “In the future, maybe consumers will go down to the store, pick up a tube of A, B, and C molecules, type ‘filet mignon’ [into their 3-D printers], and they’ll have filet mignon,” says Roger Clemens, a food scientist at USC and spokesman for the Institute of Food Technologists. Early versions of this technology are currently in the works. 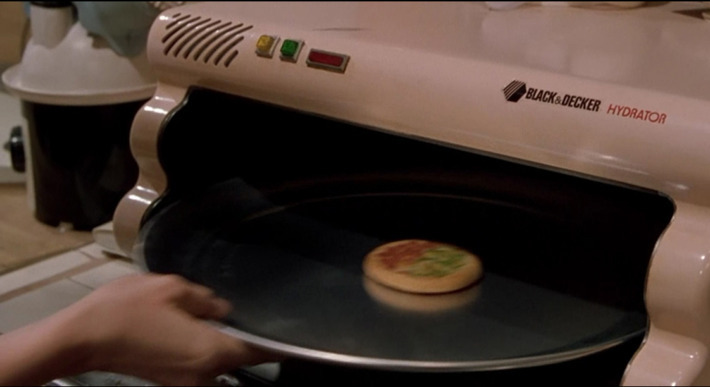 In fact, a pizza printer exists, though the product doesn’t look delicious, or even edible. Still, the dream of “pizza from a tube of nothing,” as Clemens calls it, is alive. 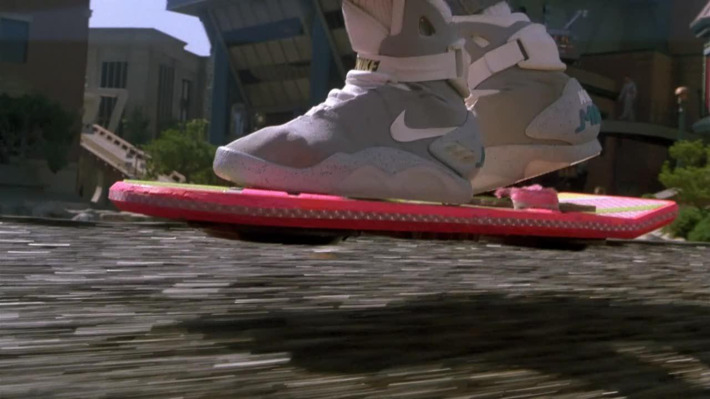 Technological advancements in BTTF II’s version of 2015 aren’t limited to consumer electronics and transportation. There are a few goodies for those hoping to live forever, too. Bionic implants are apparently elective enough that teenage Griff Tannen has them, and Doc mentions a trip to a rejuvenation clinic that, among other things, added 30 to 40 years to his life. Frey, who has written extensively on the future of biotech, says 3-D printing presents an alternative to rejuvenating our failing bodies or augmenting them with mechanical implants. “There’s all this work being done on 3-D printing body parts. How long until we can 3-D-print an entire replacement body for ourselves?” he asks. 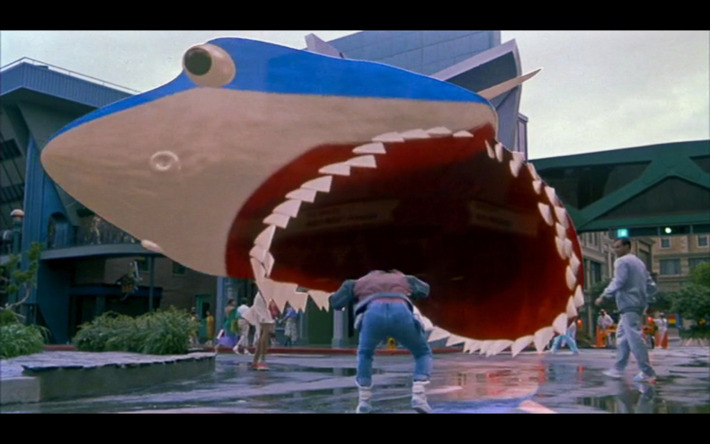 For what ultimately amounted to quick sight-gag, BTTF II’s Jaws 19 in Holomax joke was a layered one. Prophetic, too. Not only did it foresee Hollywood’s franchise and 3-D obsessions, but also Max Spielberg’s career in the movies (he hasn’t directed anything, but he does have an IMDb page). 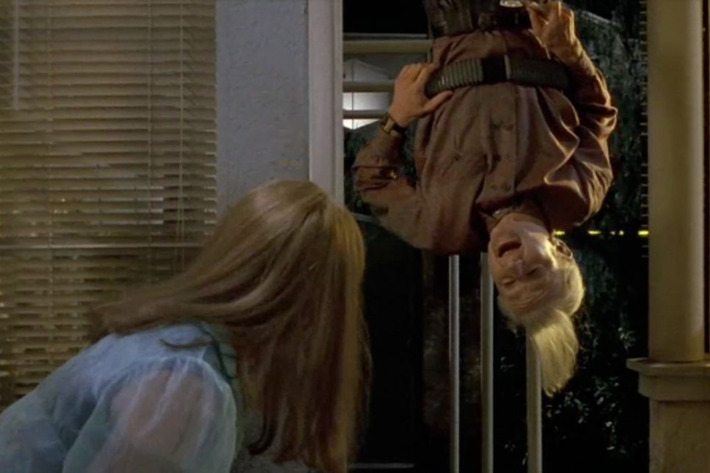 Jaws 19 is clearly not happening by 2015, or any time after that, but what about holographic films that allow monsters to pop out of the screen and try to grab you? Before answering that, Craig Newswanger, CTO of Zebra Imaging in Austin, wants you to know that that’s not how holographic movies would work. “It would be like watching a play on a stage,” Newswanger says of true three-dimensional display. “We would not have the experience of having 3-D objects in our lap.” As we wait for that technology, though, Newswanger says “light field displays and possibly augmented reality” will be able to give people the advancements in movie-watching that they’re looking for. 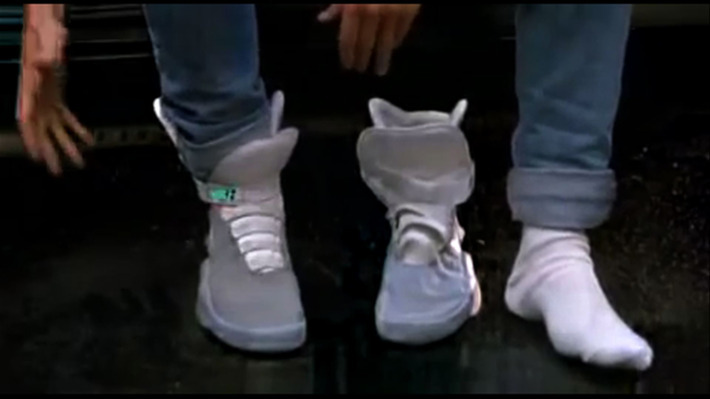 Which Back to the Future II Tech Is Closest?